The first day of high school is very stressful for 12-year-old Nadia. That may be true for any seventh grader starting at a new school, but Nadia has been worrying for weeks. So much so that she is feeling physically ill. She is a bright and openhearted young lady, but as her teacher says, there’s something special about her. 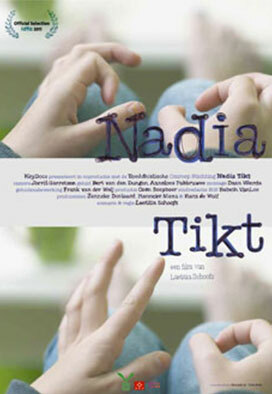 In the short documentary ‘Nadia’s tics’, she tells us about the days leading up to her first day of school. She candidly explains how she struggles with her obsessive-compulsive neuroses and anxieties, aided by the motto: to think + to do = to dare. School isn’t the only thing making Nadia uneasy; daily life has plenty of surprises that make her feel anxious as well.